MORGANTOWN, W.Va. (February 8, 2019) – 100% and Racer Productions, producer of the AMSOIL Grand National Cross Country (GNCC) Series presented by Specialized, an AMA National Championship, are pleased to announce their multi-year partnership extension along with their continued support of the GNCC 100% Hometown Hero program. 100% has been linked to several iconic moments within the motocross industry dating back to the early 1980’s when the 100% logo decorated racing equipment of some of the biggest names in motocross. They have been part of GNCC Racing since 2013 and have continued their support with the Hometown Hero program for the past three-consecutive years. 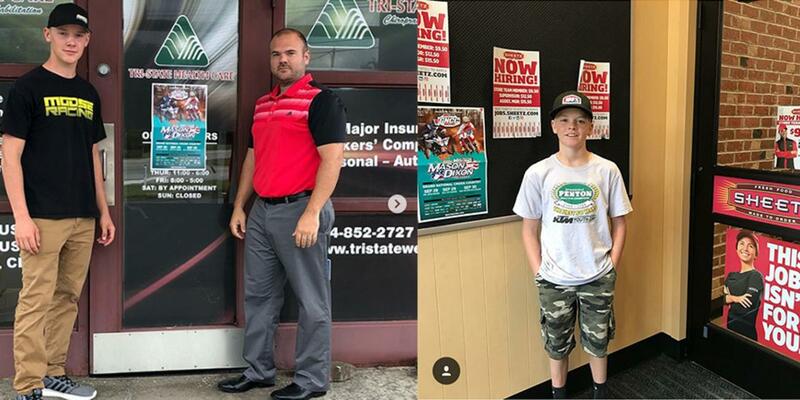 In 2015, GNCC Racing introduced the Hometown Hero program to help local GNCC racers promote and grow their favorite sport by participating in marketing campaigns. 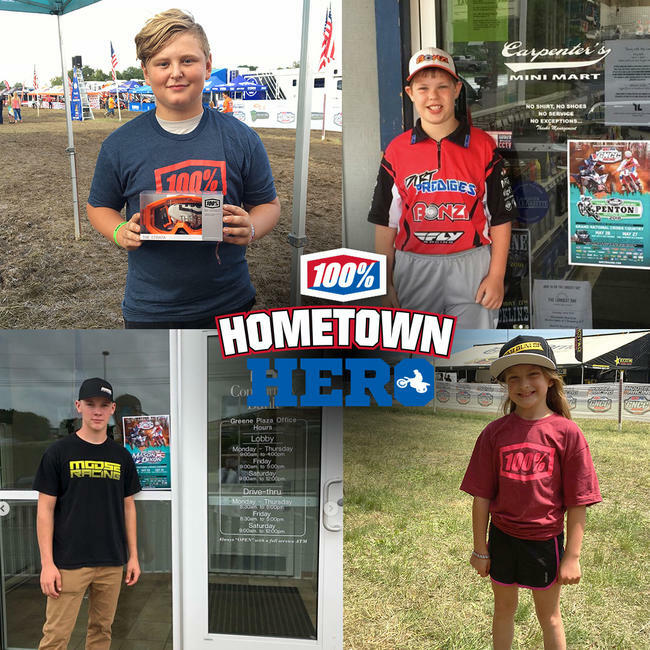 GNCC Hometown Heroes receive a detailed letter along with 10-15 posters to hang up in various local businesses, and then use social media outlets to get the word out by using the official hashtags #GNCCHometownHero and #GNCCRacing. Click HERE to read more on the 100% Hometown Hero program. 100% will be returning as the title sponsor for the Hometown Hero program in 2019. They will also be giving a pair of goggles, along with a free race entry, to each Hometown Hero who uses the hashtags above and tags @gnccracing and @lildeb55. Interested in becoming a 100% Hometown Hero? Email Debby Hawk at [email protected]. The 2019 AMSOIL Grand National Cross Country Series begins on February 23 and 24 with the 23rd Annual VP Racing Fuels Big Buck GNCC in Union, South Carolina. Saturday’s 2 p.m. pro ATV race as well as Sunday’s 1 p.m. pro bike race will be broadcasted LIVE on the internet via Racer TV on www.racertv.com. A highlight show featuring the event will air on NBC Sports Network on Saturday, May 25 at 1:30 p.m.